The Norfolk Broads is one of the most beautiful parts of East Anglia, and it boasts plenty of activities, so you need never be bored. Whether you’re looking to visit as a family, a group of friends a romantic getaway, and however long you stay, you are bound to enjoy your time here. Of course, because of the wide choice of activities on the Broads, it can be difficult to choose what to do first. 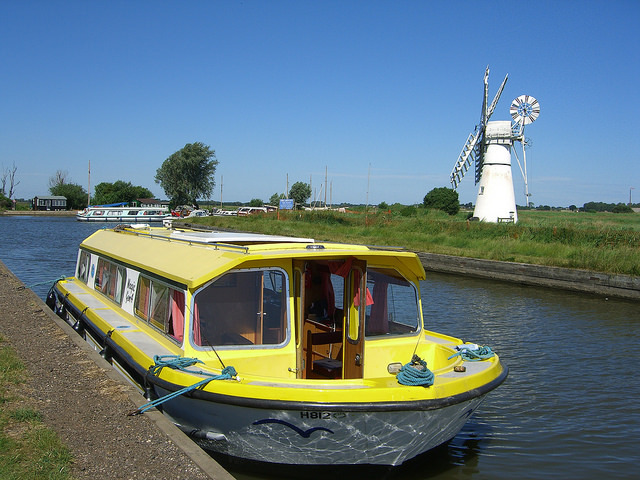 To make it easier, we have made a list of 5 of the best things to do on the Norfolk Broads. A trip to the Norfolk Broads wouldn’t be complete without a boat trip. Take a guided river trip, and have your skipper explain everything you need to know about the area you are passing through, as well as telling you all about the local wildlife, while you enjoy some of the refreshments that are available from the fully licensed bar. These trips are even suitable for wheelchair users, and dogs (at £1 per dog), so no one in the family is left behind! If you’re feeling brave, why not hire your own boat for the day, exploring the Norfolk Broads at your own pace. Bring a picnic to enjoy alongside some of the country’s finest scenery, for as long as you decide, with boats available to hire hourly or for the entire day. Located in Stalham Staithe, Museum Of The Broads offers visitors the chance to learn about the history of the Broads, dating back to the Vikings, and appreciate the area from the perspective of marshmen and boatbuilders, and learn how the Broads were affected during the world wars. The museum has plenty of fun activities for children, including their Ellis Eel trail and playboat. When you’re done learning, enjoy a bite to eat in the museum café, or your own picnic next to the river. You are spoilt for choice when it comes to the amazing pubs and restaurants around the Norfolk Broads. Delicious food and beautiful views, what more could you want? If you are on a boat trip, many restaurants allow you to moor up there, which makes accessing them incredibly easy. The Bridge Inn at Acle offers diners a range of locally sourced food, alongside a range of ales and will also cater for vegetarians. Pets and children are welcome here, too. The Waveney Inn, at Burgh St Peter, once a popular stopping point for wherrymen, offers the same types of food choices for visitors. All along the broads you will find fantastic pubs and restaurants, so wherever you decide to explore, you certainly won’t go hungry or thirsty! With over 300sq km of rivers and shallow lakes, the Norfolk Broads offers a wide range of fishing opportunities for anglers of all abilities. There are lots of free fishing areas in the Broads, and some of these are wheelchair accessible, though you must be certain that you have permission to fish in your chosen location, as many parts of the Broads are conservation areas or SSSIs. You must also have a valid Environment Agency Rod Licence to fish on the Broads, but this is easily obtainable online or from the Post Office. The Norfolk Broads doesn’t only have to be explored on water, there’s so much of the Broads National Park to see that can be discovered on a bike. This is the perfect activity for both families, or adventurous couples, with 14 different routes, varying in distance and difficulty, no part of the area need be left undiscovered. You don’t even need to worry about bringing your own bikes as there is an abundance of local bike hire shops in the area. There are many more fun things to do on the Broads, whatever your particular interests, but these are just some of the best. And if you can’t fit them all into your first visit to the Norfolk Broads, what better excuse do you need to return? There’s so much to do and see in Great Yarmouth. If you’re old or young, whether it’s sunny or rainy, and if you have children or not you will be spoilt for choice. However, all of this choice can make it difficult to decide what to do first, and if your time in Great Yarmouth is limited, you might not know what to prioritise. That’s why we have put together everything you need to know about Great Yarmouth’s top three attractions: to narrow down the choice and to save you time! 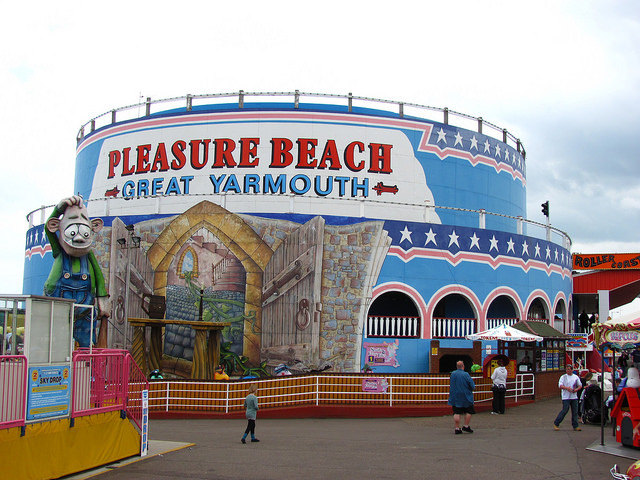 A trip to Great Yarmouth wouldn’t be complete without visiting the Pleasure Beach. It hosts a variety of different rides, which means that whether you’re a thrillseeker or prefer something a little more sedate, there is something for you. It’s home to the 85 year old wooden Roller Coaster, one of only eight of its type in the world. The 9 acre site has free entry, and entry to rides is possible with either tokens or a wristband which can be bought on site. This means that even if you aren’t looking to use the rides, you can still experience the fun atmosphere. The whole family is welcome at Pleasure Beach, as it is fully accessible for both wheelchairs and pushchairs, and disabled toilets and baby-changing facilities are available on the site. Dogs are also welcome, provided they are kept on leads at all times. It’s also very easy to access, with car parking next to and opposite the park, and the town centre and beach are just a short walk away. This museum is a must-see in Great Yarmouth, and is perfect for when the weather isn’t so good. A visit will equip you with all you need to know about the history of the seaside town and how it became to be as we know it today. Audio guides are available for the museum, so you’ll understand everything by the end of your tour. The museum is fully accessible to wheelchairs and guide dogs are welcome, as well as having baby feeding and changing facilities. so no one has to miss out. Admission is £5.70 per adult, and £4.55 per child, but it is also possible to buy a family ticket. Just a short walk from the centre of Great Yarmouth, Time and Tide is easy to access, and there is also a car park opposite the museum. If you’re lucky enough to be in Great Yarmouth in the evening, you should visit Yarmouth Stadium, which is situated just outside the town in West Caister, to watch the greyhound racing. There is also parking on site, so you needn’t worry about that! The races take place on Mondays and Wednesday at 6.30pm (doors at 6pm), and Saturdays at 7.30pm (doors at 6.30pm), and admission costs £8.50 per adult (over 60s £6.50)- with any children under 16 entering for free. A variety of food and drink is available at the venue, meaning you can really make an evening of it! Whether you fancy your chances at placing a bet, or want to simply enjoy the atmosphere it’s bound to be a great night! If you’re in the town for a day, a weekend or a week, be sure to squeeze these top three Great Yarmouth attractions into your schedule- you won’t regret it! A trip to the seaside with your dog always makes for a great day out. 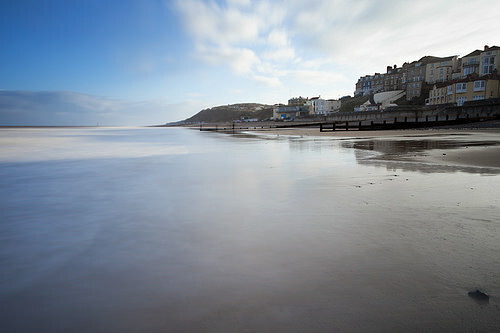 Whether it’s walking on the beach, taking a dip in the sea, or sharing some fish and chips, there’s just so much to do. However, if you want to rest your legs, or stop for some refreshments, you may occasionally find that dogs are not always welcome in some pubs and cafes. To make sure you and your dog receive the warm and friendly welcome you deserve in Caister and Great Yarmouth, we’ve put together a short list of our favourite dog friendly pubs and cafes. The Never Turn Back pub derives its name from the local saying “Caister men never turn back”, coined following an attempted rescue at sea in a 1901 storm in which nine members of the Caister lifeboat team perished, the history of which is displayed on the walls of the pub. The pub itself is next to the Eastern Beach caravan park and is just a stone’s throw away from the lovely Caister Beach. There are two bars in the pub, and a large beer garden. Warm food is available, and the Sunday carvery is particularly popular. This is a very friendly pub where you and your furry friend are guaranteed to receive a warm welcome. Located in Hembsy, Great Yarmouth, The Lacon Arms was recently named the UK’s most dog friendly pub in the Kennel Club’s Be Dog Friendly Awards, an accolade voted for by the general public. The Lacon Arms is a very spacious pub, with various areas for you and dog to sit and enjoy a pint and bowl of water. The front terrace has some great sea views, and there is a large beer garden in the rear of the pub. As well as being dog friendly, the Lacon Arms is also suitable for families, with the Pirate Boat Adventure Play Area sure to keep the kids occupied while you enjoy a drink. A variety of beers, meals and snacks are served throughout the day, and there is a large car park on-site. An ex Lacons Brewery pub, The Barking Smack boasts an attractive and elegant exterior, and a clean, modern interior. The curious ‘Barking Smack’ name is derived from the famous Short Blue fishing fleet, which sailed from Barking to Gorleston in the 19th century. The pub is in a great location, close to the popular Hippodrome Circus. A variety of grain beers are served, and barbeques are held in the summer months. Dogs are welcome indoors and outside, making the Barking Smack a great place for you and your dog to enjoy a refreshing drink and bite to eat, in the heart of the Golden Mile. Sara’s Tearooms is a family run cafe & restaurant located on the Great Yarmouth seafront. The staff really go the extra mile to make you and your dog feel welcome. A bowl or two of fresh water is always out ready for any doggy visitors, but fussy dogs who prefer not to share are provided with their own fresh bowl! The Tearoom delivers great service to humans as well, and serves a variety of good quality food and drink, including freshly ground coffee and clotted cream teas. Cakes and homemade meals are the order of the day, and all cakes and homemade specials are baked personally by Sara herself. Caister and Great Yarmouth are great places to visit with your dog. 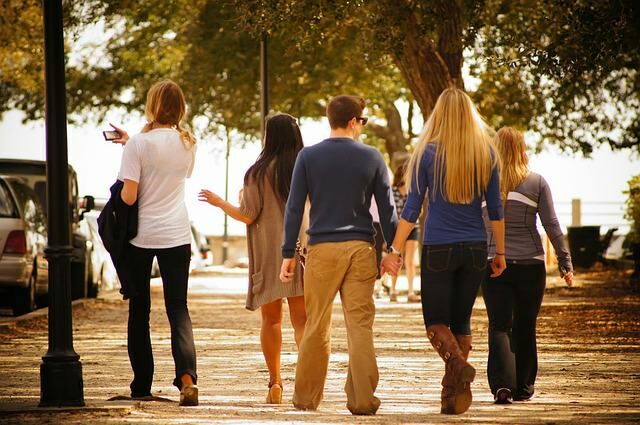 And while you may not be welcome in every pub or cafe, you can rest assured that you will always have a place to put up your feet and hang your lead if you visit the establishments listed in this article. It’s the height of summer here at Eastern Beach and there’s plenty of great attractions, events and activities going on locally. From the Summer Spectacular at the Hippodrome Circus to Jasper Carrott at Britannia Pier, there’s so much to do and see this month in Caister and Great Yarmouth. One of the best loved attractions in Great Yarmouth, The Hippodrome Circus Summer Spectacular Circus returns this month. The Summer Spectacular includes a variety of amazing circus acts from all across the world, including high-flying acrobats, a globe of death bikers, flying trapeze artists, comedy from the much loved Jack Jay and Johnny Mac, and a stunning water show. The Summer Spectacular opens on 12th July and runs till the 17th September. Gypsy Productions presents a traditional cabaret style theatre experience this summer at the Gorleston Pavilion Theatre. This fabulous, feel-good show, features song, dance, comedy and much, much more. Ticket prices for the Summer Season Show at Gorleston Pavilion Theatre are £16.00 for adults and £5.00 for children 15 and under. Stand Up & Rock is back at Great Yarmouth as legendary comic Jasper Carrott returns with fresh stand up-material and a whole host of musical compatriots, including best friend Bev Bevan, the founding member of The Move and ELO. Jasper’s other guests include Geoff Turton, Phil Tree, Tony Kelsey, Abby Brant and Suzi Woo. 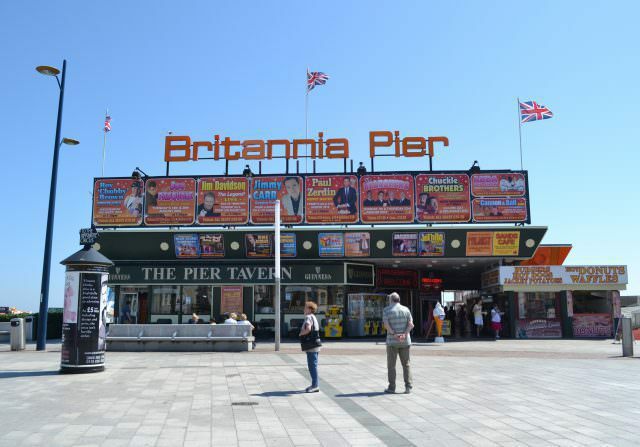 Get yourself down to the Britannia Pier in Great Yarmouth for Stand Up & Rock on Saturday, July 29th, and enjoy some of the UK’s best-loved comedic and musical talent. Starting from the 19th of July, every Wednesday for seven weeks the skies over Great Yarmouth are illuminated with a fantastic summer spectacular firework display. The summer fireworks at Great Yarmouth Central Beach promises an evening of family fun, music and entertainment. For the best viewing areas, take yourself anywhere along the seafront Esplanade, along Britannia or the Wellington Pier. Entry is free, and the entertainment kicks off at 8:00PM, before the fireworks display gets underway at 10:00PM. Step back in time for the Supersonic 70’s Show at St George’s Theatre this July. The set-list includes all your favourite 70’s classics, from the golden age of pop music, including Queen, The Carpenters, ELO, 10cc, WIngs, ABBA, Elton John, Boney M, Bay City Rollers and T-Rex. So get your dancing shoes on, and join the band at St. George’s Theatre for the Supersonic 70’s Show, on Friday 21st July. Tickets are £20 for adults, and £18 for concessions. With the Summer holidays fast approaching there’s still time to book your perfect getaway! Save up to £100 slashed off the last remaining holiday caravans for the first week of the school holidays (22nd July – 29th July)! You’ll need to book now before they’re all gone! A trip to Norfolk wouldn’t be complete without a trip to one of the amazing beaches on the Norfolk coast. There is such a vast choice of beaches in this county that it would be impossible to know which to use without a little helping hand! Everyone will have a different idea of what makes the perfect beach, depending on their individual situation, and this guide tries to cover some of the best beaches for all types of holidaymakers! Cromer beach is fantastic for families because there is so much to do, so you won’t need to worry about complaints of being bored. The town is most famous for crabbing, which is suitable for children of all ages: 2 to 22, bringing out the competitive side in everyone! The town also has a wide selection of fish and chips and ice cream shops, which means you needn’t panic when the children announce that they’re hungry! If your children don’t require a pushchair, the cliff-top to the lighthouse makes a great activity, and is the perfect chance for some family photos to remember your trip. As a huge beach with an expanse of golden sand, Old Hunstanton is great for people visiting with dogs. The shallow tidal waters makes it a perfect place for your dog to paddle on a hot day after you have walked the length of the beautiful beach. 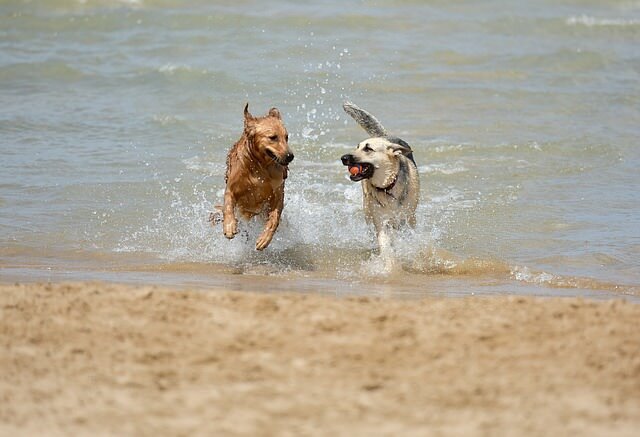 The vast beach also provides you with a great playground for you and your dog- so be sure to take a ball or frisbee to play fetch! Also, you needn’t worry about when you are planning on bringing your dog- they are welcome all year round at Old Hunstanton beach! Of course, sand and wheels are never really going to be a good combination, but that is not to say that wheelchair users and families with pushchairs can’t still enjoy a Norfolk beach. Great Yarmouth has plenty of ramps down onto the sand, as well as beach wheelchairs that are available from the Tourist Information Centre. There is plenty of car parking around the town, so you don’t need to worry about the length of journey from the car to the beach. What’s more, the majority of the town centre is wheelchair accessible, so you can enjoy the day out without any concerns! If you want to sample some of Norfolk’s wildlife at the same time as taking in the coastal views, Brancaster could be the best beach for you. When you’re here, you may be lucky to see avocets, oystercatchers, terns and even seals that occasionally relax on the beach. If searching for your shells is your thing, you’ll find a vast variety of them here! As well as wildlife, if you visit at low-tide, you will probably catch a glimpse of the half-submerged 1940s shipwreck SS Vina. This is but a handful of the best beaches in Norfolk, and finding the best one for you is simply a matter of trial and error (though there are worse things than making your way through the Norfolk coast!). The great thing is that, because there are so many beaches here, there is bound to be more than one that suits your needs perfectly! The castle is situated in West Caister, a parish just north of the popular seaside town, Great Yarmouth on the Norfolk coast. It’s also in The Broad National park- a famous part of Norfolk, and many people visit both the Norfolk Broads and Caister Castle in the same trip. How Old Is The Castle? Caister Castle dates back to the 1400s, and is believed to have been built between 1432 and 1436 by Sir John Fastolf. The official completion date of the castle coincides with the visit from the Duke of Norfolk in 1446, though it was mostly finished by 1440. The castle suffered some damage in 1469 when it was besieged by the Duke of Norfolk, however, and then (apart from the tower) fell into ruin when a new house was built nearby in 1600. What Is It Built Of? The castle was originally built with brick and, despite the fact that it fell into ruin in 1600, it remains one of the country’s best-preserved brick castles of the period. In fact, Caister Castle is one of the earliest brick-built residences to have been built in the country, and features particularly sophisticated brickwork in the great tower and the inner court. It is thought that the clay used to make the bricks was dug just over a mile from the building site of the castle. A good amount of the original brick still exists for visitors to appreciate. The Norfolk Falstof family inherited the manors of Caister Hall and West Caister in 1363, and John Falstof, one of the greatest Lancastrian soldiers and diplomats of the Hundred Years War was born in the moated manor house on the site. It is believed that the castle was built for defense, as a result of the high curtain walls and towers with arrow slits and gunports. It is believed that Falstof intended for the castle to be converted to a large chantry to pray for his loved ones’ souls after their deaths. After disputes about Falstoff’s will, however, the castle devolved to the Paston family- which is why it features heavily in the famous ‘Paston Letters’. The castle’s moat was filled with water from the River Bure, and it is reported that it was connected via the river to the sea through Pickerill Creek. The bridges across the moat could be raised, presumably as a means of protection. It is possible that the moat that surrounded the house Falstof was born in was a part of the later castle’s moat. 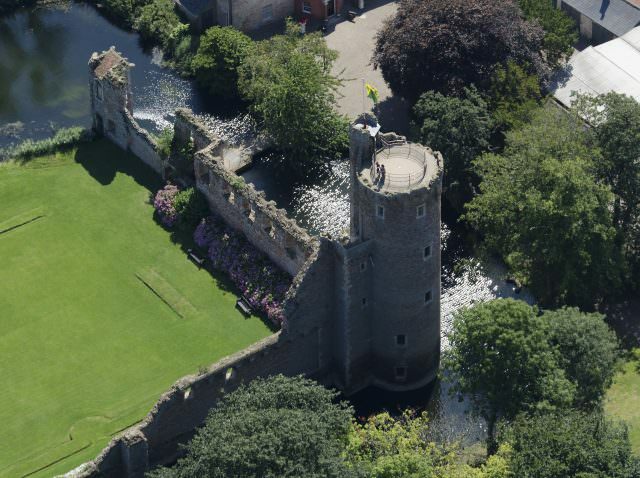 Whether you are specifically interested in castles, or simply want a day out that’s a little different, Caister Castle is well worth a visit! Whether you’re visiting Great Yarmouth with friends, family or loved ones, there’s plenty of great activities for you to get involved with all year round. From mountain biking through to a traditional trip to the beach, you’ll never be short of activities, no matter how long you stay in Great Yarmouth. Great Yarmouth is a cyclist’s dream. Not only are we blessed with miles and miles of unspoilt natural beauty, but the landscape itself is generally fairly flat, meaning no back-breaking, uphill cycling! The region is also particularly good for cycling because of the many cycle and footpaths in the area. One of the best places for a spot of scenic mountain biking is Fritton Lakes: bikes can be hired onsite, allowing you to explore the natural beauty of the area at your own pace. Whether you’re a seasoned birder, or you just want to get closer to the local wildlife, Great Yarmouth is the perfect base for birdwatching. The Norfolk coastline contains some of the finest nature reserves in the country which are home in turn to a diverse array of bird species. Because of its geographical position, Norfolk plays host to a variety of birds migrating from Europe and even further afield during Spring and Autumn. 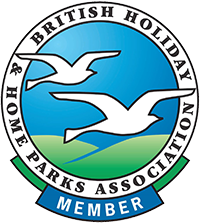 This ensures that Norfolk receives more visits from rare birds than anywhere else in the UK, making it a birdwatcher’s paradise. There a number of great places to birdwatch in Great Yarmouth and nearby, including Breydon Water, Waterside Rollesby, Berney Marshes and Fairhaven Woodland. Great Yarmouth is home to a number of crazy golf courses, with a variety of different themes. At Pirates Cove, crazy golfers can enjoy a swashbuckling 18 hole adventure golf course, either in the daytime or under the floodlights in the evening. At Castaway Island, meanwhile, the nautical theme continues in the heart of Great Yarmouth’s Golden Mile. It wouldn’t be a trip to Great Yarmouth without a game of crazy golf, and if you’re looking for something a little bit sporty, but also a lot of fun, then look no further. One of the most enjoyable activities to do in Norfolk and Great Yarmouth is exploring the area by boat. Whether you hire a rowing boat, a canoe, a paddle board or a motor boat, this is the perfect way to explore Great Yarmouth and the surrounding area in a totally unique way. Once again, Fritton Lakes is a great location for boating. You can hire out a Katakanuing, a rowing boat, paddle board or a canoe, and explore the 50 acre lake at your leisure. A little further out is the Norfolk Broads National Park, a stunning labyrinth of lakes and waterways, totally unique in Great Britain. There are number of places to hire boats from throughout the Broads, but the closest to Great Yarmouth is perhaps Martham Boat Building & Dev Co Ltd, where a variety of different boat types can be hired out for the day, from motor boats to half deckers. A day out at the seaside makes for a great family activity. However, even if you go with the intention of spending little to no money, it is easy to get sucked into the trap of ice creams, rides and amusement arcades and end up spending a small fortune- especially if you have a large family and haven’t planned the day’s activities in advance. But with so many free things to do in Caister and Great Yarmouth for all ages, you needn’t spend a penny to enjoy a fantastic day. Here are some of our top picks! Open every Wednesday and Sunday between 10am and 3pm in the school holidays, as well as Bank Holidays, Caister Lifeboat station is one of only two of the UK’s offshore lifeboat stations that is independent of the RNLI. As well as getting the chance to learn some history about the station, which was first in use in 1791, you will be able to see the station’s two lifeboats and can even participate in some of the station’s fun days and events that they put on throughout the year, advertised on their website. This is great for a family trip, but booking for group trips can also be made! This horse sanctuary makes a great day out for animal lovers of all ages as it is fully accessible for wheelchairs and prams. It is open every Friday, Saturday and Sunday, as well as 10am until 4pm on Mondays, which means you can visit over your long weekend in the area. The sanctuary is home to almost 120 ponies, donkeys and mules, so there is plenty to see. This is more of a winter activity, as the seal pups are usually present between October and February, but is well worth a visit if you are in the area. 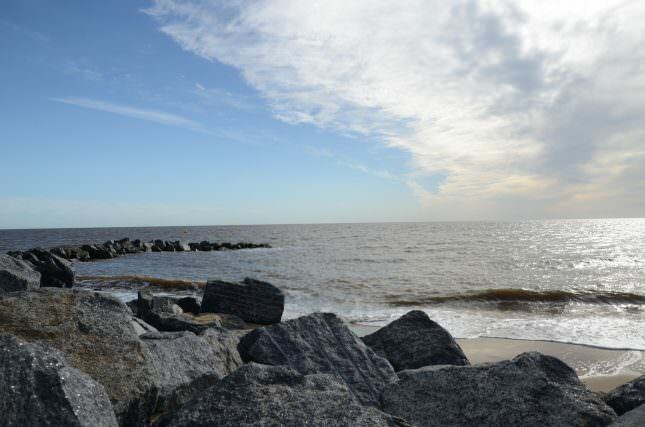 Not only do you get to see some of Norfolk’s wildlife, you also get to see some more of the beautiful coast. 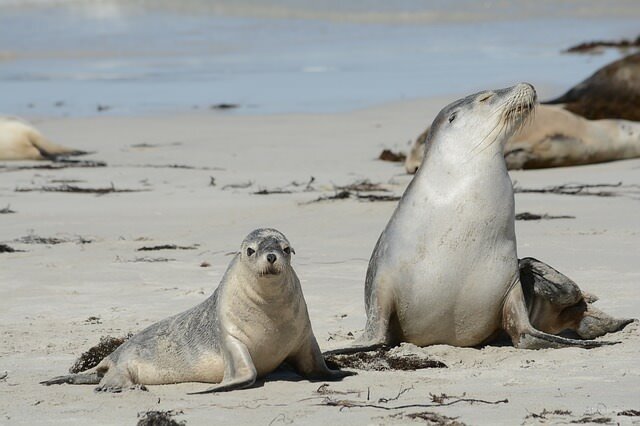 Enjoy the walk along the path that runs along the beach, and use viewing platforms to get even closer to the adorable seal pups. Just be sure to dress up warm; it can get cold, but the seals are worth it! This Roman Saxon fort makes for an educational, yet fascinating free day out- kids and adults are bound to be intrigued by the site that dates to around 200 AD. Explore the remains of the old town, as you can walk between remnants of houses, walls and other buildings. 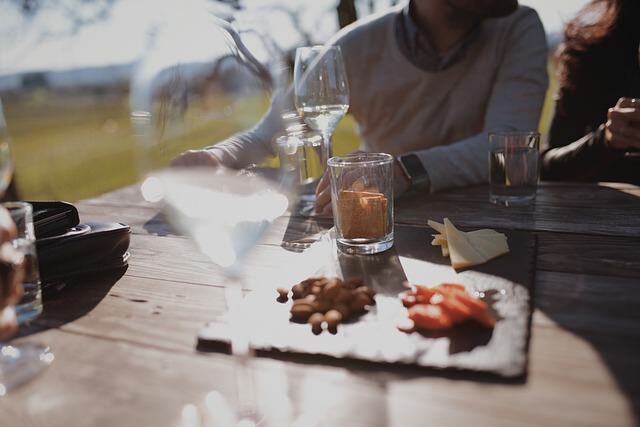 What’s more, you are able to visit at any ‘reasonable’ time during daylight hours, which means you can either spend the day here, pausing for a picnic in the historical surroundings, or add it onto the end of your other activities! There are plenty more free activities in and around Caister and Great Yarmouth, but the trick is to pre-plan your activities for the day.  If you have planned your trip to be packed with plenty of free activities, you won’t even be tempted to spend money! Summer is in full swing in Caister and Great Yarmouth, and there’s plenty to do for all the family in June. Part of the ongoing Titanic: Honour & Glory exhibition, On Board the Titanic Trail allows you to step into the shoes of a passenger on the ‘ship of dreams’. Discover what life was life on board the ‘unsinkable’ HMS Titanic and meet some of the famous passengers. Just remember to pack a lifejacket! The exhibition is open from Sat 1 Apr – Sun 24 Sep 2017, 10:00 to 16:30. Barbra Streisand comes to the Gorleston Pavilion Theatre in the form of Tina Law. Tina has graced the stage of many top theatres and nightclubs, including The Café de Paris, The Stork Rooms, The Talk of London and Drury Lane. Tina Law has a long relationship with Barbra Streisand, having taken on the role on stage previously in Streisand and Sinatra Through the Years, and when she recorded a number of Streisand hits for BBC Radio Two, accompanied by a 46 piece orchestra. Can’t make the Take That concert in Norwich? Come along St. George’s Theatre for a live screening of the eagerly anticipated Wonderland Tour, streamed live from the O2 Arena. Take That are one of the best loved and most spectacular live acts in the country, and for night only, fans can watch them live in Great Yarmouth. Take a guided tour of one of the region’s historical treasures: St Benets Abbey. This ruined abbey, once the home of Benedictine monks, dates back to the ninth century and fell into disuse following Henry VIII’s Dissolution of the Monasteries in the sixteenth Century. Free guided tours of the Abbey can be enjoyed every Wednesday at 14:00, and every Saturday at 15:00 until the end of September. One of the best things about Great Yarmouth is that there are restaurants to suit all kind of taste, budget and age range. This means that families aren’t limited when it comes to finding somewhere suitable to eat- in fact, you will be spoiled for choice! Whether you are looking for a relaxed lunch or a more formal evening meal, there is somewhere for your family to eat in Great Yarmouth. Here are five of the best family restaurants in the town! This traditional tearoom makes the perfect restaurant for an English family lunch. Not only is it children-friendly, they also welcome well-behaved dogs on leads, which means that the whole family can enjoy this dining experience. The tearoom serve fresh, homemade food, so you can rest assured that your family is eating well, and the choice of sandwiches, cakes and changing daily specials means there is something for everyone. The Grange serves food 7 days a week at both lunch and dinner, with both indoor and outdoor seating- making it the perfect location for any type of weather! The pub also has a children’s play area, which means your children will be kept entertained while you wait for food to arrive, or while you enjoy a relaxing drink after your meal. A trip to the seaside wouldn’t be complete without some traditional fish and chips. Roger’s fish & chip restaurant is the perfect option for this if you are looking for a relaxed meal. With high quality food served at very reasonable prices, as well as vegetarian options and children’s meals to choose from, there will be something for everyone on the menu. Close to the beach, Roger’s makes the perfect location for a relaxed evening meal after a day on the sand. A carvery is a fail-safe option when it comes to eating out with a family as everyone can eat as much or as little as they like. Castle Carvery is great value for money and has more than just the carvery on the menu, meaning there is something that everyone in the family will like- whatever their age or taste. The restaurant serves food continuously from 12-10pm, making it great for families with busy schedules. This Portuguese restaurant is perfect for families wanting to enjoy a taste of the Algarve on the Norfolk Coast. Children can be kept entertained as they see their food cooked on the open grill inside the restaurant, and everyone will be kept sweet with the impressive range of delicious desserts the restaurant has to offer.